Yung 6ix & Hanu Jay release the visuals to their raving tune "Leg Working" featuring the Zanku Master Zlatan Ibile. The single, The first off their collaborative project an Extended Playlist titled "Trapfro" was released last month to the wide acceptance of Dee Jays and Party goers who cant help but vibe and zanku to the beat as produced by Disally. Hanu Jay is a budding talent that has effectively blended contemporary new sounds like R&B, Trap, Hiphop with traditional Nigerian sounds like Konto, High life and Afrobeats. His Debut EP "Vibes"received rave reviews from fans and critics alike and his sophomore project is widely anticipated and is rumored to be a fully KONTO Playlist. 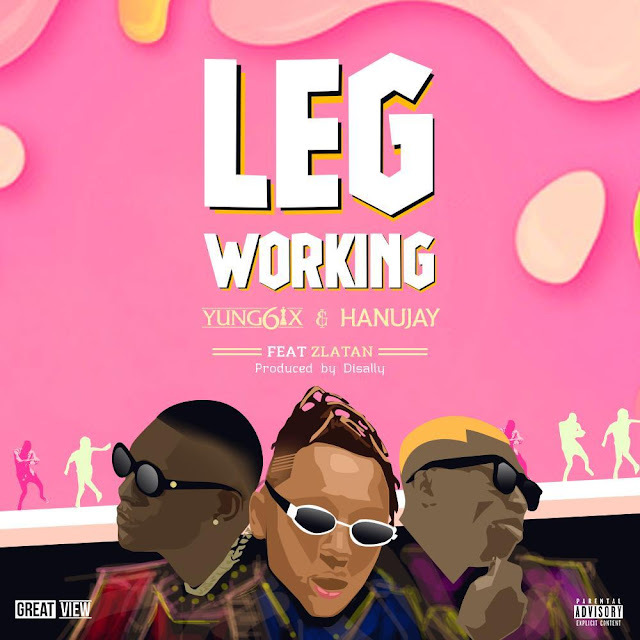 Zlatan kicks one of his meanest verse in recent time on "Leg working" and showed why he is the master of the wave that has retired the shaku shaku in this Video shot in Lagos Island.